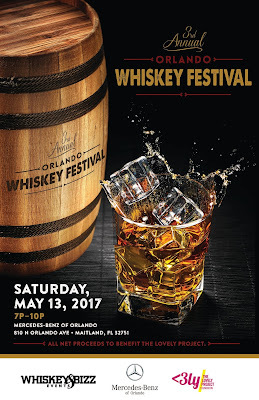 The 3rd Annual Orlando Whiskey Festival (OWF) will take place this Saturday, May 13. Located at the Mercedes-Benz of Orlando dealership in Maitland, the event will feature unlimited samples of over 100 whiskey brands, 4Rivers BBQ, cigars, and live entertainment. The Orlando Whiskey Festival is not just another local festival, but it was the first of its kind for Central Florida when it launched three years ago. Since then, OWF has set the standard for whiskey festivals. In addition, OWF has a unique philanthropic mission. 100% of the net proceeds go to a local organization. I recently connected with Mark Matuszek, owner of Whiskey & Bizz, LLC, and founder of Orlando Whiskey Festival to gain a better understanding of the story behind OWF and what we can expect from the high-end festival in the future. Influence. This is the word Mark gave me when I asked why he launched the festival a few years ago. Mark, a man of faith, explained that the word "influence" was what he felt God had continuously put on his heart. A modest business owner at the time, Mark felt that he was called to do more--to have a greater impact on others--but he wasn't quite sure what that looked like. "It was birthed from a love of whiskey. We wanted to create a network and bring people together, and then it grew into something so much bigger than we had expected," Mark explained. At the time, Mark was hosting small whiskey tastings, bringing together friends and colleagues with one thing in common: their love of whiskey. "We would coordinate these tastings and just charge people whatever our costs were. We always broke even. Over time, we connected with various whiskey companies that offered to donate product. So now we had to decide what to do with the profit." Enter: The Lovely Project. The Lovely Project is a Non-Profit Organization, headquartered in Orlando, Florida, that exists to empower girls by providing them with tools, education and peer-mentorship for living a purposeful, productive life. "It was a no brainer. I love what The Lovely Project is all about. It is an organization that was started by people in my church and I thought that we would be able to help influence something good by giving to them." Last year's event sold out and raised tens of thousands for The Lovely Project. Impressive by any measurement, but especially for OWF in just its second year of existence. When I asked Mark what he thought about the success in such a short period of time, he was quick to explain that it all goes back to his calling from God. "This is the most successful business I have ever had without making any money. The secret sauce is giving back." When asked what we can expect from him moving forward, Mark shared, "I go back to the initial word that God spoke to me, Influence. Influence is still what I am called to. God's not done with us yet." General Admission (7-10p) and VIP (6-10p) tickets are available. For those looking for the "ultimate" experience, there is a 3-course dinner and whiskey tasting event that will take place the night before. 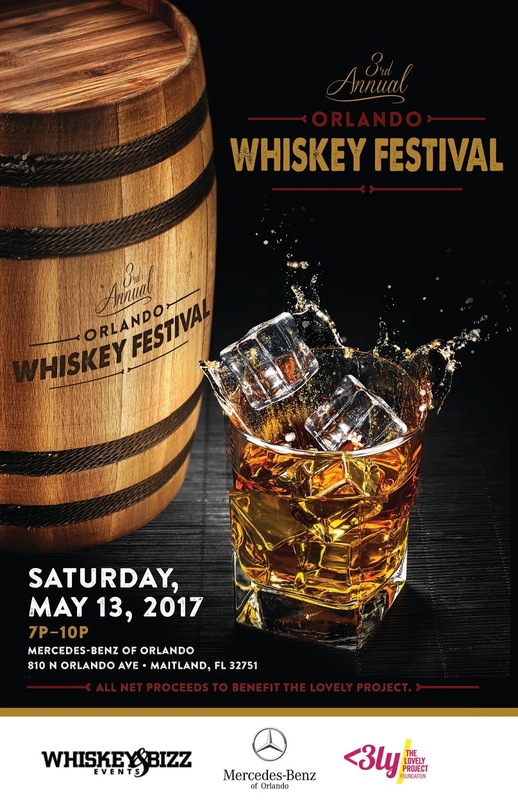 Tickets for the dinner are sold separately and do not include admission to the Orlando Whiskey Festival. Normally the people who live in western and American continents are indulged in most of the festivals and the story behind this festival is explained in this post.